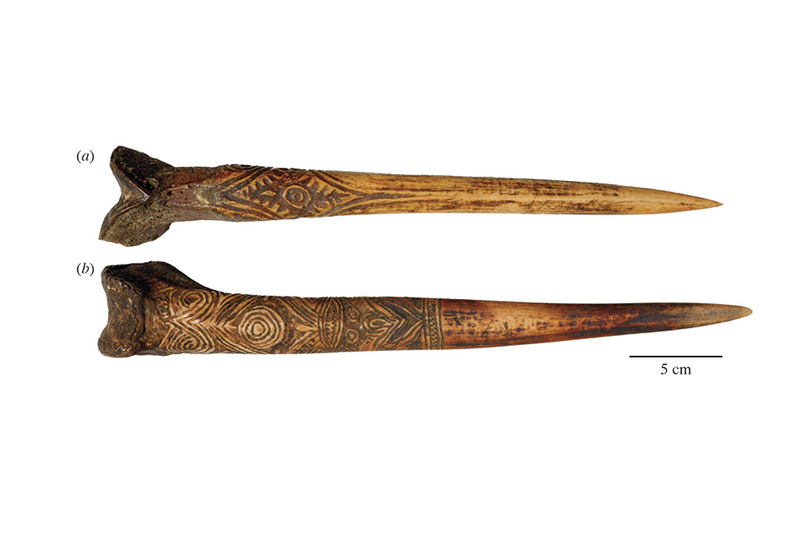 PARIS (AFP).- New Guinea warriors harvested thigh bones from their dead fathers to fashion into ornamental but deadly daggers used to kill and maim enemies, sometimes to eat them. But why use human bone when equally lethal daggers were made from the shin bones of large, flightless birds called cassowaries — abundant, and easier to catch and kill? Experts have long hesitated between inherent bone ruggedness and symbolism as the reason for the proclivity. An unusual study concluded that human thigh bone did not make for better dagger material, but was rather a symbol of prestige. This can be deduced from the fact that daggers made from human bone were designed differently to bird ones, said Nathaniel Dominy of Dartmouth College in the United States, who co-authored a paper published in the journal Royal Society Open Science. But the human bone dagger was designed to last longer. “The human bone dagger is stronger because men gave it a slight different shape — it has greater curvature,” the researcher told AFP. The value was partly determined by the fact that “suitable sources for human bone daggers were rare,” added Dominy. The daggers were used until the 20th century in hand-to-hand combat. They were designed to stab an opponent in the neck, either killing him outright or to “finish off” those wounded with arrows or spears, said the study. According to one account, bone daggers were used for “stabbing prisoners, taken in a fight, through their hip joints, knees or ankles” to be kept alive “until needed for a later cannibal feast”. The daggers had elaborate designs carved into them, and were worn in armbands as adornment — within easy reach if needed.